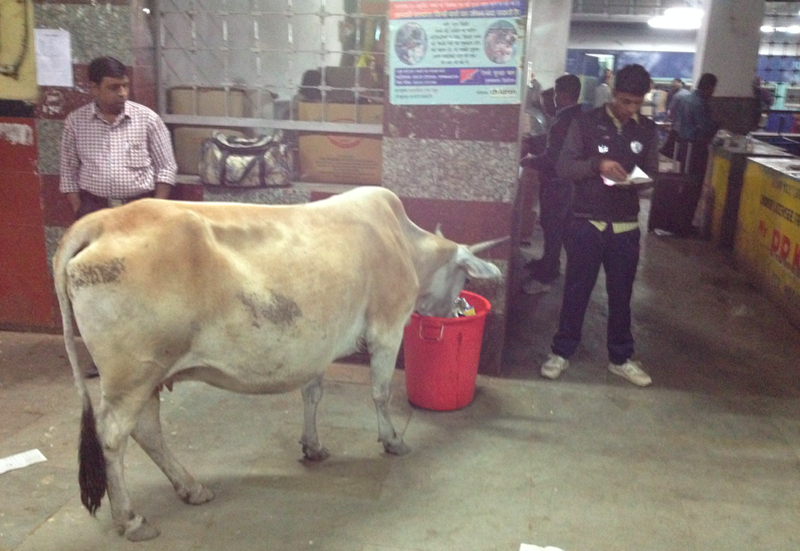 This was the platform atmosphere when we waited for our first train, from Agra to Varanasi. 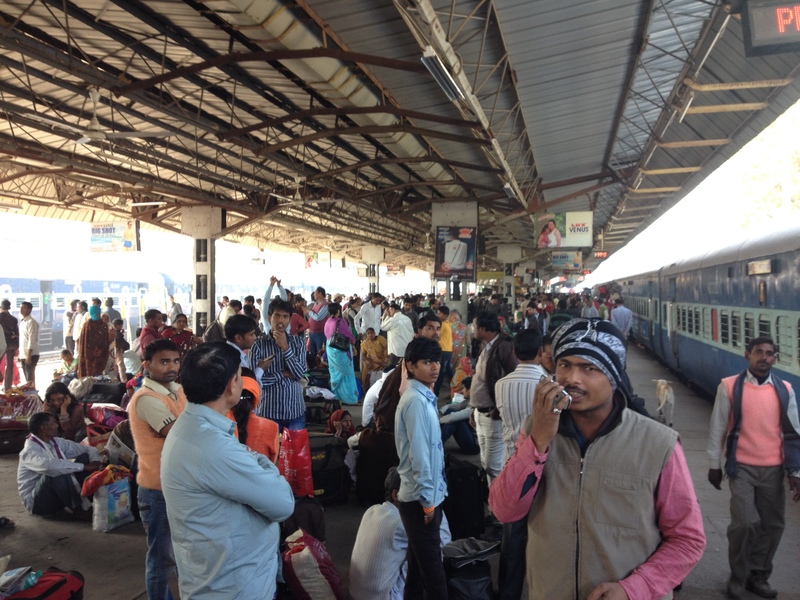 This was the platform atmosphere when we waited for our second train, from Varanasi to Calcutta. This was me. Stuck between cow and rats. A bit… tired. Waiting is the demanding part. 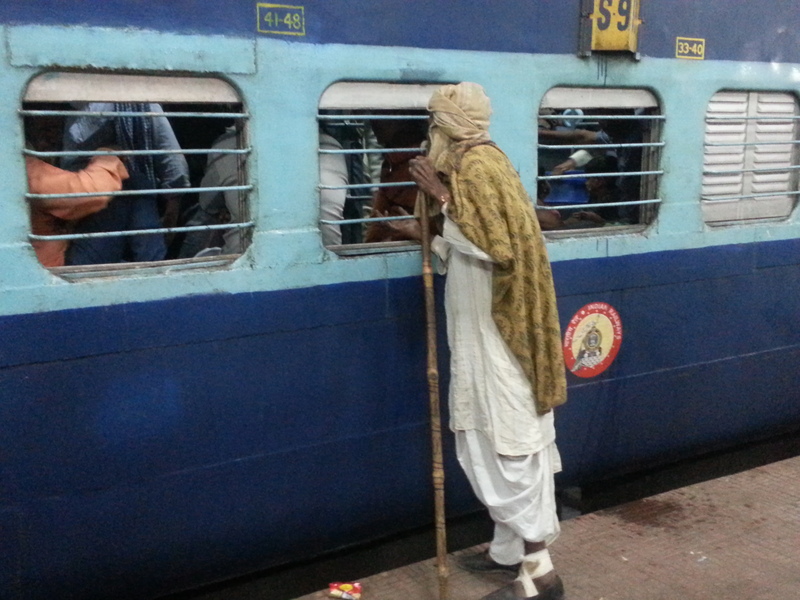 The train for Agra to Benares was on time. 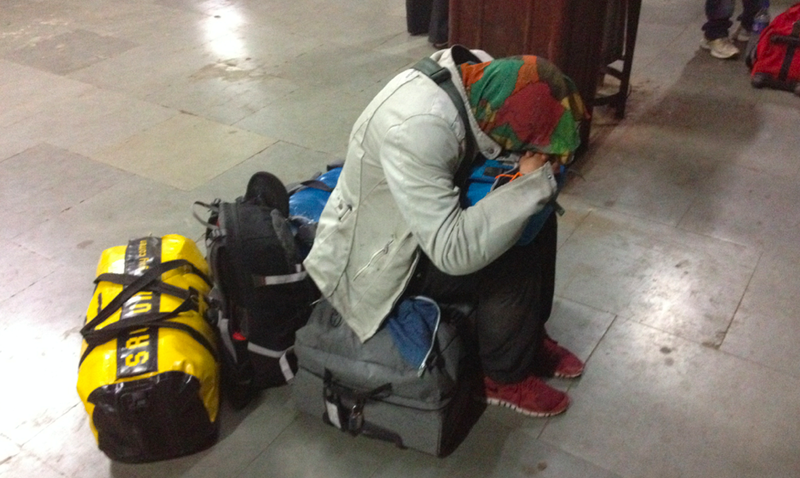 But the train from Benares to Calcutta was four hours delayed. Every sixty minutes, the board was announcing one hour additional delay. Te railway station was anyway 18 km from the city, in the middle of nowhere, so there was nothing to do but waiting on the platform, together with cow who were eating in the trash bin. I felt a bit worn-out I must say. Then you spend the night in a coach where you can hear sixty kind of snoring, since there are no doors in between you and the others, just light curtains. Our travel class was good enough to have air conditioning, which wasn’t really bringing comfort, as it was blowing five centimeters from my face. I blocked the grid with my pillow and slept with my rigid black jacket. I woke up as flexible as a Playmobil after a safari…. … Ready to face the platform’ crowd… and new adventures ! This entry was posted in India, Videos and tagged delay, night train by Stephanie Nedjar. Bookmark the permalink.